Eco-Friendly Wedding Stationery Tips — Oak + Honey Event Planning Co.
We are so excited to announce that Amanda Cursaro of Baci Designer will be taking over the blog this week! She will be sharing eco-friendly tips for couples who are looking to reduce their impact on the environment with their wedding stationery. Amanda is the owner of Baci Designer, a boutique wedding stationery company founded in 2008. Baci's mission is to create timeless wedding invitations and coordinated details through original and intentional designs for engaged couples seeking an editorial look that is reflective of their style. Often people assume stationery isn't one of the areas of their wedding where they can truly be eco-friendly. After all, it is mostly paper and I've often heard, "It will just get thrown away." However, that isn't necessarily the case if you put original and intentional thought into creating an heirloom-quality design people will want to share with others and treasure as a keepsake for years to come. Aside from the thoughts of a mushy custom stationer on why wedding paper isn't wasteful, there are tons of practical options to reduce your environmental impact when choosing your stationery. The obvious start is with 100% recycled stock. This can come in most any form, but our favorites come from the Neenah Paper Mill in fabulous tones like Concrete, Grocer's Kraft, Honeycomb and Wrought Iron. Gone are the days of drab, dirty looking recycled stock. Neenah's Environmental Line is not only created using sustainable practices, but 100% renewable electricity as well. The majority of the wedding stationery we create here at Baci Designer is printed on Savoy's 100% Pure Cotton Stock - it not only offers the most luxurious fabric-like texture, but it is tree-free, acid-free, recyclable, biodegradable and elemental chlorine-free. A fun and unique option is Seeded Stock made with post-consumer materials (often paper and fabric) and embedded with seeds that can be planted after use. Each sheet is completely different from the next, adding a fabulous element of texture and thickness. Seeded Stock comes with seed options to plant everything from flowers to herbs and vegetables. 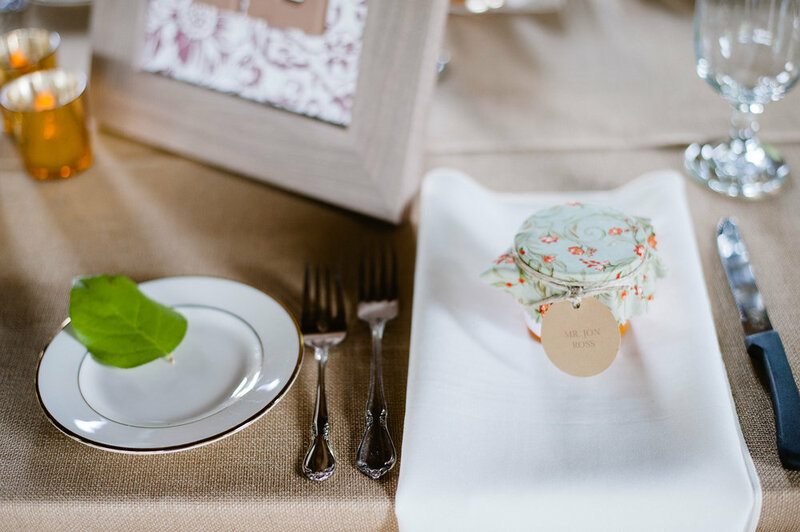 Hiring a professional stationer will provide you with the most resources and knowledge in order to ensure you're getting the best eco-friendly wedding suite options. They'll also be able to ensure you are ordering correct quantities to cut down on waste and brainstorm some of the best options to help reduce your impact. When choosing favors to gift your guests at the end of the night, stop and think about how useful they are before purchasing. Consumable items are often the best option here - think a trio of macarons from your local bakery, homemade jam using an old family recipe or your favorite childhood treat packaged in a reusable container. A simple tag printed on one of the recycled and tree-free stock options above can accompany all of these pieces. Day-of stationery pieces are some of our favorite things to create, but they require a bit more thought ensuring they aren't wasteful. We love to see pieces in your home as decoration (welcome signs and picture frames used for table numbers are perfect for this!) or as an heirloom piece you put away for your own children (a framed program or laser-cut cake topper). 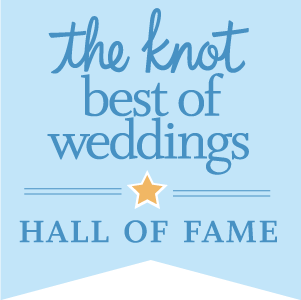 Repurposing items from the ceremony to the reception is also a great way to minimize your impact. Your planner will happily move your welcome sign from the ceremony entrance to greet guests as they enter the reception as well. We also create two-sided signs for this purpose, too. Don't see a need for 25 acrylic table numbers after your wedding? Try renting first. Sometimes things are created specifically for you and your event, so renting isn't an option, but it is worth inquiring. If you can't find exactly what you're looking for as a rental and you do need to purchase pieces, after your wedding sign up for a resale event (like Recycled Wedding Boutique) or post on a sale site for the next lovely bride to snag for her big day! Thanks again, Amanda, for sharing such insightful information!